Today is John Peel Day. 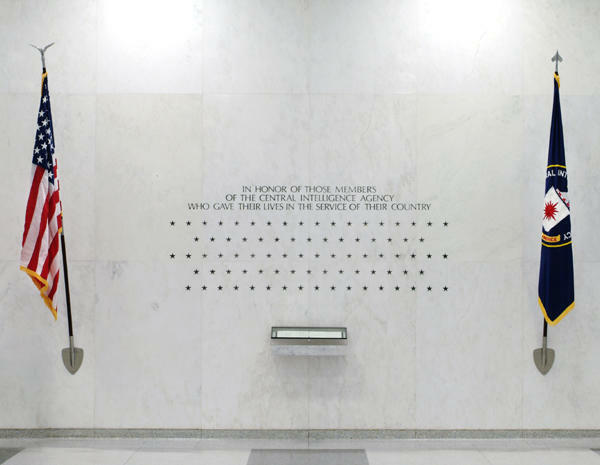 'Either you are with us, or you are with the terrorists," President George Bush told the world after September 11 2001, and he has made it clear ever since that he means it. But in that black and white universe, where do you put Josh Rushing? Rushing is a blue-eyed son of Texas, a marine for all his adult life whose clean-cut friendly charm made him the ideal public face for the US military during the Iraq invasion. But he has now joined the Arab television channel al-Jazeera as an "on-screen personality", a move which, in the eyes of many Americans, is one step short of signing up with al-Qaida. n joining al-Jazeera's forthcoming English-language service, Rushing points out that he is in good journalistic company. He will be surrounded by former BBC employees, including Sir David Frost. But they are Europeans and journalists, two species generally associated with perfidy in the minds of the American right. Rushing is an American and a marine. For many conservatives here, he has joined a pantheon of turncoats alongside Benedict Arnold (who switched to the British side halfway through the war of independence) and "Tokyo Rose" (who broadcast for the Japanese in the second world war). The conservative blogs hum with bile. The comments on freerepublic.com include: "He was crap to begin with - he stinks even worse now. He is no longer an American". Another writes: "He is a leftist, terrorist sympathiser who infiltrated the US marines. Now he is home". A third adds: "I sure hope he don't have some kinda accident or sumtin [sic] ..."
There have been quite a few along the lines of that last remark, enough for the former marine captain to take a few security precautions at his new Washington home, and he admits to feeling the strain. "It's kind of hard for a guy who's dedicated his entire adult life to the health and wellbeing of this country to be called a traitor by people who, I feel, have probably sacrificed a lot less than I have," he said. In an unusual turn of events, the President revealed his choice of a substitute nominee in response to a question asked at the press conference. "Heh. 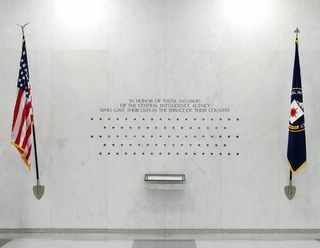 As it just so happens," said the president, "we went ahead and had that one covered. My nominee for Associate Justice of the Supreme Court is Sidore, who recently came to my attention in an article in a liberal publication, now that you come right down to it. I think everyone will agree that my nominee has one of the finest legal minds ever nominated by my administration for any position. Sidore, a Chicago resident, was manufactured by RealDoll, a subsidiary of Abyss Creations, a California-based firm. Accordng to that company, Sidore features a completely articulated skeleton which allows for anatomically correct positioning, as well as an exclusive blend of the most expensive silicone rubbers for an ultra-flesh like feel. Initial response by conservatives to the nomination verged on jubilant. "I believe that this nominee may be the ideal female Supreme Court nominee," said fundamentalist activist James Dobson. "I was willing to gamble that Ms. Miers would listen to the concerns of people of faith, but this candidate is clearly the better listener." Conservative pundit Jonah Goldberg agreed. "If I were involved in litigation that went to the Supreme Court, I'd rather it be heard by someone like Sidore, rather than by a real woman who's possibly lying to meet her own ends. I'm sure that's got the feminists here chomping at the bit, but as I've said, I'm not misogynist; I just don't like liars, especially when jurisprudence is involved. Being adjudicated by a doll eliminates that possibility." My son returned from Iraq last weekend after a year’s service. I confess to breathing much easier now that he is out of that quagmire. I have a personal request for all of you George W. Bush supporters and Christian warhawks: please do not support my troop. I have visions and aspirations of having him around, seeing him settle down and start a family at some point, and being near as I grow older. Your support would mean that he would be sent back to this war started and continued on lies to become a target for those who would rather live their lives without the interference of a foreign, empire-seeking, new-world-order, invader. Actually, my son completed his contractual obligation to the military several months ago, but thanks to your support, he has been stop-lossed and has no idea when he will be allowed to resign his commission. Why would I not want your support for my troop, you ask? Considering your support of our criminal government has led to the death, destruction and misery of millions of people on this planet, that is basically a no-brainer. 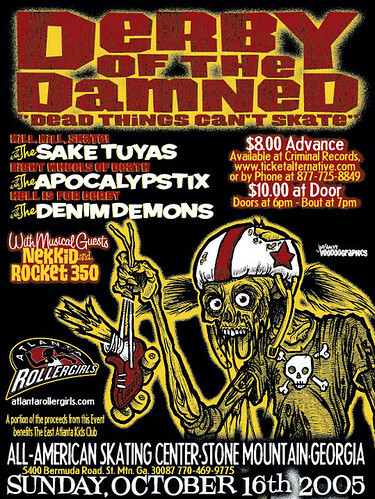 Between February 24–26, 2006, Tucson, AZ will be over-run by ferocious and dedicated amateur rollergirls from across the nation. Tucson Roller Derby will host sister leagues from around the country while these do-it-yourself, flat-track skaters compete in a ground-breaking tournament to determine the nation's first-ever Dust Devil national champion team. "The Dust Devil tournament is history in the making," said Tucson Roller Derby founder Kim Sin, "and it's sure to be the first of many annual and semi-annual competitions in this burgeoning, full-contact women's sport." The Dust Devil invitational is the result of last July's conference, during which 55 women representing 20 leagues met for three days to coordinate a common set of rules for inter-league flat-track bouts. "This tournament is the next step in the growth of our sport," said Melissa `Melicious' Joulwan, a member of the Texas Rollergirls in Austin, TX. "We've all been waiting for the chance to go helmet-to- helmet with skaters from other leagues. And for the first time, flat-track derby fans can see the spectacle and athleticism of hundreds of rollergirls under one roof! All I can say is, `Put on your protective gear now.'" Teams representing leagues from all over the country compete for three days against the best in their respective divisions, with each team determined to take home the national title of 2006 Dust Devil Champion. Nearly twenty flat-track leagues have already announced their participation: Arizona Roller Derby, Atlanta Rollergirls, B.ay A.rea D.erby Girls, Carolina Rollergirls, Dallas Derby Devils, Duke City Derby, Houston Roller Derby, Kansas City Roller Warriors, Mad Rollin' Dolls, Minnesota Rollergirls, Providence Roller Derby, Rat City Rollergirls, Rose City Rollers, Sin City Rollergirls, Texas Rollergirls, Tucson Roller Derby, Windy City Rollers. "The Dust Devil is more roller derby action in one weekend than anyone has seen before," said Natily `Ginger Snap' Blair from Gotham Girls Roller Derby in New York City. "This tournament is the first time we can fight for the title of national champs, and any real sports fan won't miss it. It has everything they could possibly want – hot all-girl skating action, great music and plenty of derby mayhem!" The Dust Devil will be played at Bladeworld, 1065 W. Grant Rd, Tucson, AZ from February 24 – 26, 2006. The flat track Atlanta Rollergirls skate their third bout of the season this Sunday, October 16th. The flat track Rat City Rollergirls will skate their Championship Bout this Saturday, October 15th. The Derby Liberation Front will skate for the championship against the Throttle Rockets. 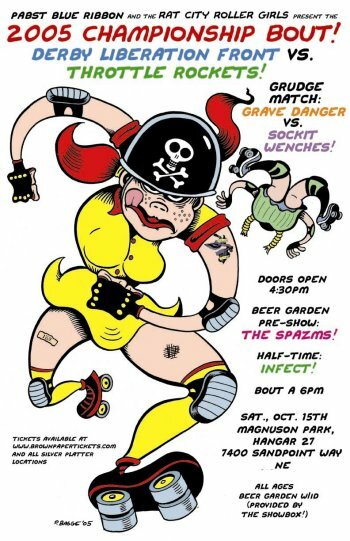 The undercard features the Sockit Wenches taking on Grave Danger. Tickets are $15 general admission, $25 special reserved seating, and kids under 10 are $7. Doors will open at 4:30pm, show at 6pm. As one of the premier fake journalists on the planet, Stephen Colbert is struck by the reaction of those he mercilessly ridicules. "The most common thing that real reporters say to me is, 'I wish I could say what you say.' What I don't understand is, why can't they say what I say, even in their own way? . . . Does that mean they want to be able to name certain bald contradictions or hypocrisies that politicians have?" What Colbert does, on Comedy Central's "The Daily Show," is use the raised eyebrow, the deadpan delivery, the self-important smirk to mock the vanity of know-it-all correspondents. And the country is about to get a supersized helping as "The Colbert Report" debuts next Monday, following Jon Stewart's bogus newscast. Colbert, 41, an old Second City improv player, describes his character this way: "A well-intentioned, poorly informed, high-status idiot" who "doesn't mean to be a jerk." He apologizes because he's used this language before and is serving up "metaphorical sloppy seconds." The flat track Providence Roller Derby ends their season with a bout against the upstart Boston Derby Dames this Friday, October 14th. Doors open at 8pm, bout at 9pm. Rain date is Sunday, October 16. Visit the Providence Roller Derby website for more info.